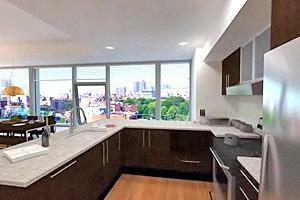 1330 Boylston Street is an Ultra-Luxury, high rise in the Fenway Area. The building offers commanding views of the Boston's skyline and some of the best amenities in the city. The building features concierge, state of the art gym, rooftop seasonal swimming pool, club room for entertaining, and underground garage parking. Located just steps from Fenway Park and a couple of blocks from Newbury Street, Theaters, Longwood Medical, Super Market and public transportation.